Alvin Ailey was born today, January 5, in 1931. 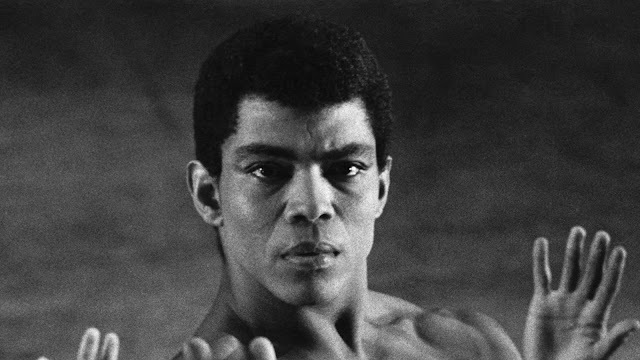 He was a choreographer and activist who founded the Alvin Ailey American Dance Theater in New York City. He is credited with popularizing modern dance and revolutionizing African-American participation in 20th-century concert dance. His company gained the nickname "Cultural Ambassador to the World" because of its extensive international touring. Ailey's choreographic masterpiece "Revelations" is believed to be the best known and most often seen modern dance performance. In 1977, Ailey was awarded the Spingarn Medal from the NAACP. He received the Kennedy Center Honors in 1988. In 2014, President Barack Obama selected Ailey to be a posthumous recipient of the Presidential Medal of Freedom. 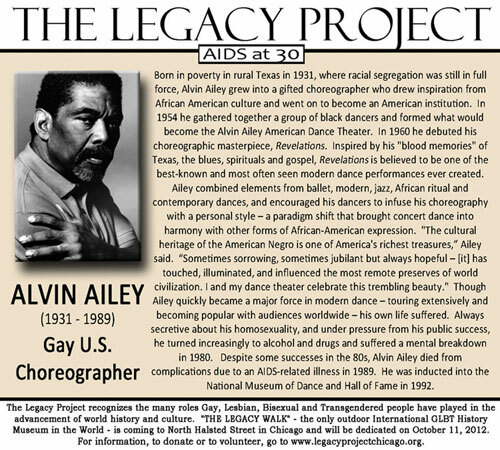 Ailey was born to his 17-year-old mother, Lula Elizabeth Ailey, in Rogers, Texas. His father, also named Alvin, abandoned the family when Alvin was only 6 months old. Like many African Americans living in Texas during the Great Depression, Ailey and his mother moved often and had a hard time finding work. Ailey grew up during a time of racial segregation, violence and lynchings against African Americans. Early experiences in the Southern Baptist church and juke joints instilled in him a fierce sense of black pride that would later figure prominently in Ailey's signature works. In the fall of 1942, Ailey's mother, like many African Americans during this period, migrated to Los Angeles, California, where she heard of lucrative work supporting the war effort. Ailey, aged 11, joined his mother later by train, having stayed behind in Texas to finish out the school year. Ailey's first junior high school in California was located in a primarily white school district. As one of the few black students, Ailey felt out of place because of his fear of whites, so the Aileys moved to a predominantly black school district. Ailey did not become serious about dance until in 1949 his school friend Carmen De Lavallade introduced him to the Hollywood studio of Lester Horton. Horton would prove to be Ailey's major influence, becoming a mentor and giving him both a technique and a foundation with which to grow artistically. Horton's school taught a wide range of dance styles and techniques. Alvin quickly fell in love with dance. Ailey was, at first, ambivalent about becoming a professional dancer. He had studied Romance languages at various universities in California, but was restless, academically. He moved to San Francisco to continue his studies in 1951. There, he met Marguerite Johnson, who later changed her name to Maya Angelou. They occasionally performed a nightclub act called "Al and Rita." Ailey earned a living waiting tables and dancing at the New Orleans Champagne Supper Club. Eventually, he returned to study dance with Horton in southern California. For his signature work, "Revelations," Ailey drew upon his "blood memories" of Texas, the blues, spirituals, and gospel. These forces resulted in the creation of his most popular and critically acclaimed work. Ailey originally intended the dance to be the second part of a larger, evening-length survey of African-American music which he began with Blues Suite. Ailey was proud that his company was multi-racial. While he wanted to give opportunities to black dancers, who were frequently excluded from performances by racist attitudes at the time, he also wanted to rise above issues of negritude. His company always employed artists based solely on artistic talent and integrity regardless of their race. In 1970, Ailey was honored by a commission to create "The River" for the American Ballet Theatre (ABT). He viewed "The River," which he based on the music of composer Duke Ellington, as a chance to work with some of the finest ballet dancers in the world, particularly with the great dramatic ballerina Sallie Wilson. The ABT, however, insisted that the leading male role be danced by the only black man in the company, despite misgivings by Ailey and others about the dancer's talent. "Cry" (1971) was one of Ailey's greatest successes. He dedicated it to his mother and black women everywhere. It became a signature piece for Judith Jamison. Ailey kept his life as a dancer a secret from his mother for the first 2 years. According to OutHistory, "Although he never publicly declared himself gay, [Ailey] maintained romantic relationships with men exclusively throughout his adult life." Ailey died on December 1, 1989 at the age of 58. To spare his mother the social stigma of his death from HIV/AIDS, he asked his doctor to announce that he had died of terminal blood dyscrasia.